Flavors of buttery, flaky pastry filled with sweet raspberry jam. Had this at a breakfast place this morning- must find it!!! Please tell me it will be available again soon! 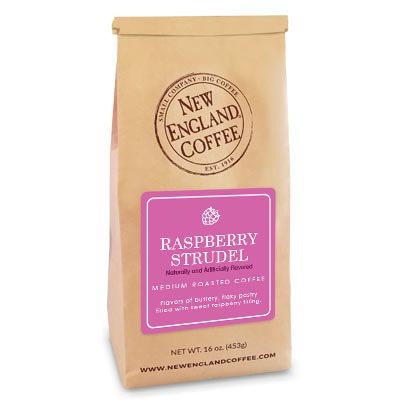 This raspberry strudel coffee is absolutely my favorite flavored coffee. I hope it comes out in K cups..please??. It is beyond flavorful!! A new favorite! The flavor of this coffee is spectacular! I’ll look forward to its season each year. Agree that these should be offered in Single Serve, along with your other flavors!